For a number of years, Renfrew, Petawawa and Pembroke residents have shared a common concern about the safety of area highways, particularly Highway 17. Locals and those who regularly travel this corridor consider Highway 17 to be dangerous due to the fact that it is has only two-lanes while having a higher than normal volume of trucks. Highway 17 is not only part of the TransCanada highway network, but it is also the main artery connecting communities in this part of Ontario. Highway 17 has been called the ‘death highway’ by many, due to the high number of fatal collisions. In October 2015, CBC news reported that large trucks, including transport trailer trucks, are more likely to be involved in Highway 17 collisions than in collisions on any of the other Ontario highways. This factor increases the risk of fatalities for smaller vehicles involved in a collision. The Ontario Ministry of Transportation has begun its plan to twin Highway 17, which involves adding two more lanes and a divider between the northwest and southeast bound traffic. Construction of the twinned Highway 17 (renamed Highway 417) was begun at its most southerly point east of Ottawa and is slowly continuing northwards. So far, it has been completed to just north of Arnprior. Pointing to the fact that 25 people were killed along the neighbouring two-lane section in the past four years, the town of Petawawa is also pushing to expand Highway 17 in that area at the same time as the more southerly expansion. As the expansion and rehabilitation of Highway 17, including infrastructure such as bridges, slowly expands northwards, people are tragically continuing to be fatally injured in collisions along the two-lane section. In late August 2015, Renfrew OPP responded to a collision on Highway 17 between Pembroke and Renfrew. A car driven by a 51 year old man crashed head-on into a tractor trailer truck, resulting in fatal injuries for the driver of the car. The truck was deflected into the ditch where it burst into flames as diesel fuel was spilling from the tanks. The 36 year old driver of the truck was fortunate to have sustained only minor injuries from the accident. Renfrew OPP remained to investigate the collision to determine whether the accident may have resulted when one of the vehicles were attempting to pass when it was unsafe to do so. Some residents of the Highway 17 corridor around Renfrew and Petawawa blame the accidents on the fact that there are insufficient passing lanes along Highway 17. The lack of passing lanes can certainly aggravate a situation where drivers are being held up by more slowly moving traffic on a major highway with only one lane in either direction. Yet, the time lost by having to reduce one’s speed for a short period is typically a fairly insignificant amount. On the other hand, a driver’s loss may be catastrophic if they pass into the path of an oncoming vehicle. In addition to the dangers caused by aggressive driving and dangerous passing along Highway 17, there is the added risk of wildlife collisions. In October 2015, it was reported that wildlife-related collisions constitute 40 to 60 per cent of motor vehicle accidents in the Renfrew area. The Renfrew OPP detachment alone reported 157 wildlife collisions in 2011 and 100 in 2012. Some of discussions concerning the potential dangers of Highway 17 have suggested that the real problem is one of dangerous driving. Many of the collisions and corresponding fatalities are the result of speeding and unsafe passing, or both. Impaired driving and distracted driving are responsible for some of the collisions and injuries here in the Renfrew area as well, just as they are the cause of many accidents in the rest of Ontario. As drivers, we need to make a decisive choice to practice safe driving at all times, including maintaining a safe speed, passing only when assured that the way is clear, never driving while under the influence of alcohol or drugs, and avoiding any sort of distraction (such as mobile devices) while driving. When negligent or careless driving results in a motor vehicle accident, it is not only the negligent driver who may experience loss. The injuries and fatalities caused by the numerous motor vehicle collisions in our communities have left many grieving and devastated families in their wake. The loss of a loved one due to a motor vehicle accident is overwhelming, catastrophic and lives will never be the same. When someone is seriously injured in a collision, both the victim’s family and the injured person are impacted. There is often a greater financial burden due to a loss of income as the accident victim is no longer able to work. The injured person may have to undergo medical treatments or surgery and ongoing rehabilitation, for which some of the costs may not be covered by OHIP. Some accident victims require help with housekeeping and home maintenance chores. Accident victims who were seriously injured and families who lost a loved one due to careless driving are entitled to compensation for their loss. In Ontario, anyone seriously injured in an accident is eligible to file a claim with their insurance company for accident disability benefits under the Statutory Accident Benefits Schedule (SABS) under the Insurance Act. Injured persons and their families may also sue the person or company responsible for the accident. There are different types of `damages` or compensation that an accident victim may claim. `Damages` are the amount of money that a victim may be awarded for a particular loss. `Non-pecuniary’ damages refers to compensation for pain and suffering and the loss of enjoyment of life that an injured person suffered as a result of the accident. A judge will make an assessment of the victim`s pain and suffering based on the degree to which their life has been altered by their pain and their reduced physical or mental capabilities. `Pecuniary damages` refers to the financial compensation owed to the injured person for any expenses arising from the accident and their changed circumstances. The accident victim will need to provide proof, such as receipts for medical expenses, health professionals` assessments on the extent of their injuries, receipts for miscellaneous expenses and so on. As well as medical and rehabilitation expenses, the injured person may receive compensation for lost income (both past and future), housekeeping and home maintenance services, out-of-pocket expenses and family member claims. 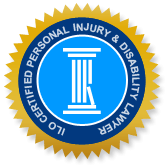 The Injury Lawyers of Ontario (ILO) law group has helped many individuals and families who experienced loss due to a motor vehicle collision, slip, trip and fall, unsafe premises, or any other accident resulting in serious injury. In an initial no-obligation consultation, our ILO lawyers can assess your unique situation and determine the strength of your claim. We can answer any questions you may have and share a plan for obtaining a fair settlement for your losses. Our ILO lawyers also represent clients in accident disability claims to ensure they get the full benefits they are owed.